Conduct background screenings with Flexible Workforce thanks to integration by Verified First. You'll find our seamless integration improves your workflow so you can perform background searches on candidates faster and for less! 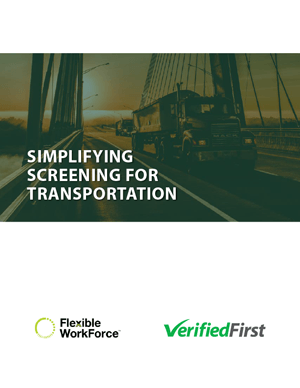 Download our white paper on the benefits of simplifying your screening process to improve your candidate experience.